Bahrain is showcasing its rich cultural heritage and vibrant tourism landscape; with 28 new properties set to open by 2021, at the World Travel Market (WTM), the world's leading travel trade show which opened in London on November 5 and concludes today (November 7). The delegation from Bahrain is headed by the chief executive officer of the Bahrain Tourism and Exhibitions Authority (BTEA), Shaikh Khaled bin Humood Al Khalifa, alongside representatives from the Bahrain Economic Development Board, the national carrier Gulf Air, as well as a number of Bahrain leading hotels, and travel agents. 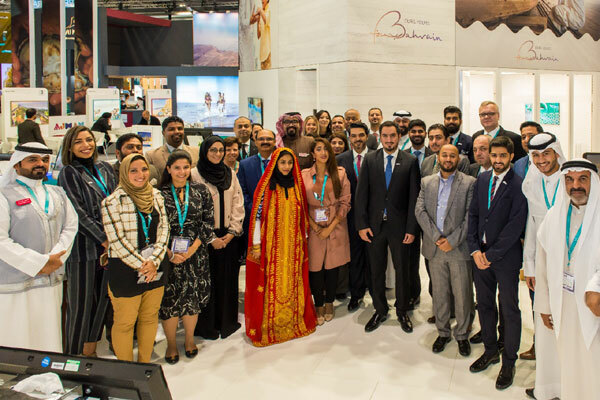 “Our participation at the WTM comes in line with our strategy to enhance the local tourism sector as it provides a global platform to display Bahrain’s unique and attractive tourism offerings. Being here will enable us to continue to build upon our trade relationships and raise awareness of the Kingdom’s profile in the UK market; which includes our continuous marketing efforts through representative offices, offering charter flight programs, and promoting new beachfront developments,” said Shaikh Khaled. At its stand this year, Bahrain will be hosting Vincenzo Nibali, world-class race rider for the UCI World Team Bahrain–Merida, who will be promoting the upcoming Bahrain Ironman in December 2018. The event will gather representatives from travel and technology industry and companies in the private sector to discuss investment and business opportunities for the upcoming year, allowing them to exchange knowledge and experiences to push this sector forward.